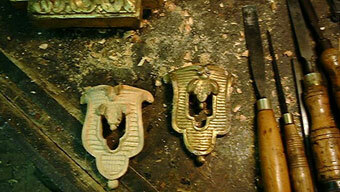 Antique furniture restoration, repairing fire damaged, light damaged, broken antiques and historic buildings in the UK. 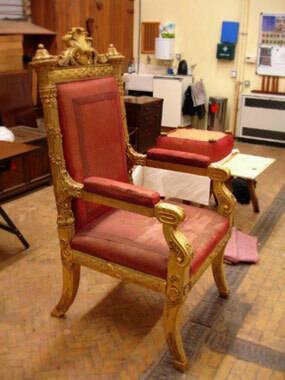 We are often asked the difference between antique furniture restoration and conservation, the reality is that many objects require a degree of both approaches and although conservators have a different methods to that employed in traditional antique furniture restoration, it is not uncommon to find furniture and interior joinery which has suffered so badly from poor storage, previous antique repair or extensive historical loss or damage that restoration is a more accurate description of the treatment required. Fire damaged furniture and water damaged furniture can require restoration of veneers, joints and substrates in addition to polishing to remove more obvious water or smoke damage. Careful antique furniture restoration based on a conservation approach aims to replace losses and recreate original surface finishes that reflect the craftsman’s intention and retain the signs of use and age which are such an important part of the objects history. A restoration project may begin with the remains of an object salvaged from storage with 50% or more of the original material missing or with a surface blackened by fire and thought beyond repair. 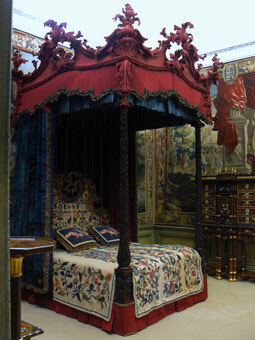 Other furniture and interiors have been changed beyond recognition by later attempts at refinishing which have removed original surfaces and changed the colour or look of the surface. 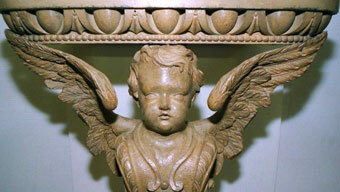 Thorough research is often required and tests to establish the correct finish or design before antique furniture restoration work can commence.